Cascina Val del Prete or valley of the priest takes its name from the exiled Bishop of Asti who lived there in 1850. In 1977 Bartolomeo Roagna and his wife Carolina bought the farm “Val del Prete” where they had worked as sharecroppers. The first thing they did was replace some grain and fruit with vines. The grapes are planted on south facing slopes in a splendid natural amphitheater. Over the years they have increased the area under vine to 27 acres. Their son, Mario, has entered the family business and now takes care of the vineyards. Cascina Val del Prete continues to be well received due to Mario’s commitment to great wine . The Roero is situated in the northeastern most part of the province of Cuneo and it owes its name to an ancient family that held the district, a hilly area, as a feudal possession. The sandy soil of the Roero hills yields an intense red wine, bearing the district’s name, that differs from the other great Piedmontese wines in that it quickly attains good balance while the others require aging. The wine was created through the tenacity of the producers and their stubbornness and diligence in identifying the areas with exposures and soils best suited to vines. That pride and tenacity now constitute the most important factors in the development of wine making in the Roero. 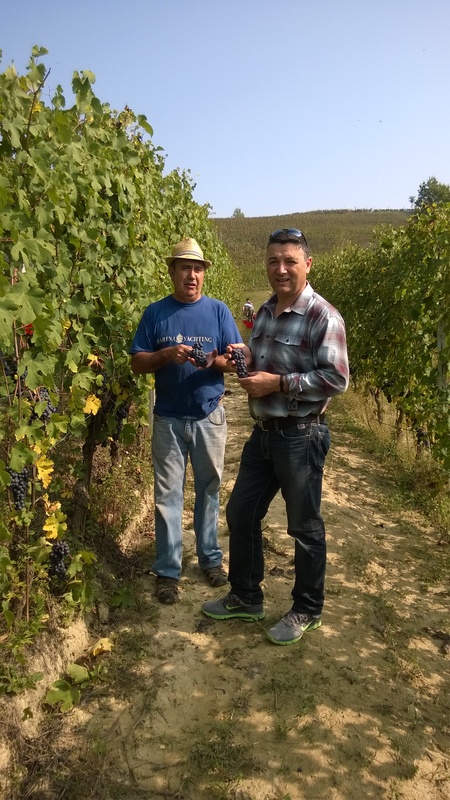 In addition, the new generation of producers has introduced a new entrepreneurial spirit as well as more advanced techniques of vinification and of promotion of the wines. As a result, there has been a major upsurge in experimentation, greater attention to selection and more controls over and refinement of production. That modern mentality offers consumers a wide choice and fine quality. Barbera d'Alba, "Serra de Gatti"